We have a range of environment friendly team building events, ranging from existing activities with a low environmental impact, for example Laser Clay Shooting and Segways, to whole events designed to achieve a green outcome in an authentic and enjoyable way. 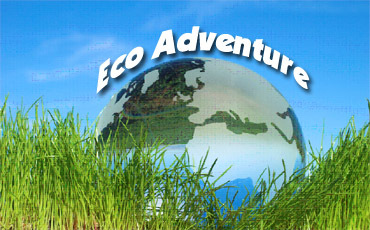 The Eco Adventure takes teams on a number of experiential activities and challenges all linked to ecology and the environment. Each adventure rewards teams with natural materials for a very impressive 'green' finale. Segway Adventure - Teams must find a series of marked locations around the venue orienteering on Segways. Teams must build a working can crusher, then crush as many cans as possible in the given time. Our most natural source of heat is fire. The question is; can you make fire and boil water in 30 minutes...without any matches or lighters? A village is in drought after a bad summer. A natural well has been found but there is no electricity to power a pump. The water can be raised to the surface but the water wheel can only be manned by hand. Can you restore enough water to the village in time? Did you know that potatoes can be used as a source of electricity? No? Well this challenge will show you how as you use spuds to create light! Teams have to judge which household appliances consume how much power and what impact they have in volume on our environment. Do you know how much power your television uses on standby?